Mt. 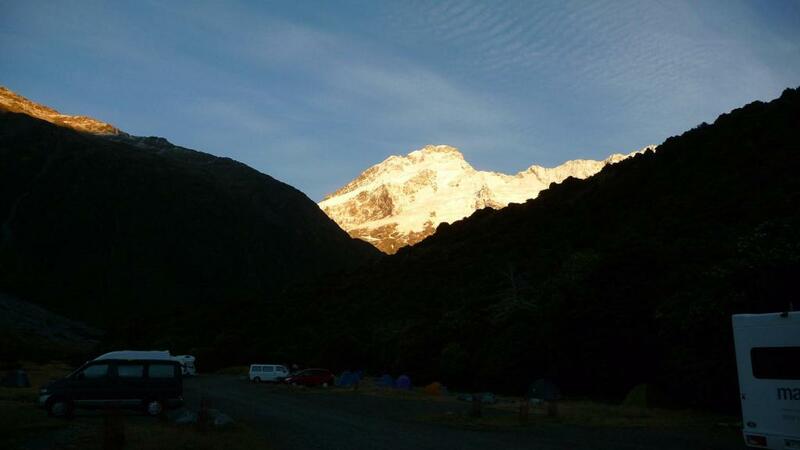 Sunday isn’t a mountain that will instantly pop into many people’s minds as a famous mountain in New Zealand. And it isn’t much of a mountain anyways, it’s more of a hill. But it became a very identifiable spot due to the Lord of the Rings trilogy, and one that, with some effort and driving, can be appreciated without a tour. That’s where I found myself one spending mid-day in January. The drive itself was worth the effort. 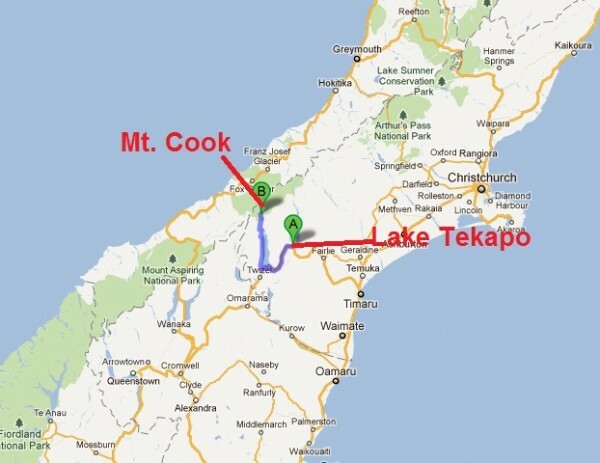 When comparing landscapes between the North and South Islands, there really isn’t much in common. 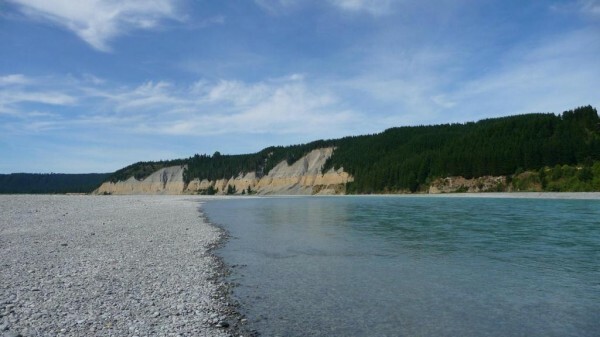 Where the North Island is dominated by lovely rolling hills, small mountains and the stark contrast of volcanos in the middle, the South Island has severe, sharp, granite coloured mountain peaks and massive, flat, glacier carved valleys. I found myself on a hike at one such gorge, called the Rakaia Gorge. Swimming with dolphins was something high on my list of things to do down here in New Zealand. I had no interest in the dolphin encounters that had you in with a captive/penned dolphin. After swimming with wild sea lions of the Galapagos, I wanted to try the same with wild dolphins. New Zealand gives you that opportunity, in spades. 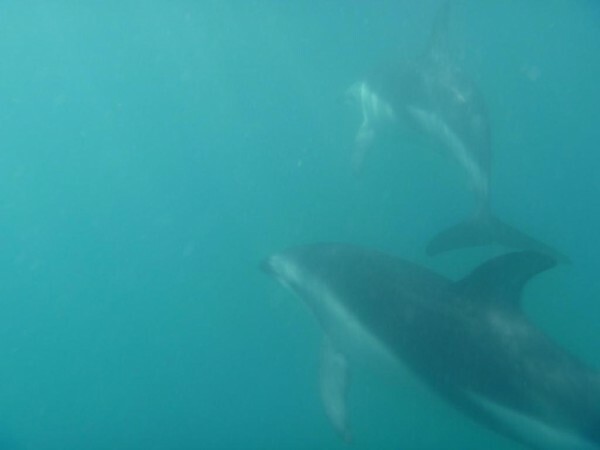 Resident year round to Kaikoura, the Dusky Dolphin is one of the smaller types of dolphin, but also very acrobatic and is well know for it’s jumping from the water. In addition, they tend to be more curious than other types, routinely investigating people in the water. Which makes them great for swimming with. On an early Monday morning I found myself, with 11 other eager swimmers, waiting in a boat in our wetsuits. After a 45 minute boat ride, the guides gave us the signal and we were in the water with 3-4 Dusky Dolphins. They came and swam around the group for a few minutes, to the joy of everyone. Then it was back in the boat, and off to another small group of dolphins. Everyone hopped back in the water for round 2! It really doesn’t seems like I have been 6 months here in New Zealand already. I feel both like it was yesterday that I was arriving in Auckland and limping around town on an injured hip, and yet at the same time as if that happened AGES ago. It really is hard to believe now. Some highlights of my time here, just going to do the North Island since I’ll consider the South as the 2nd half of my time here. I hope everyone still reading has enjoyed the journey so far – I certainly have! 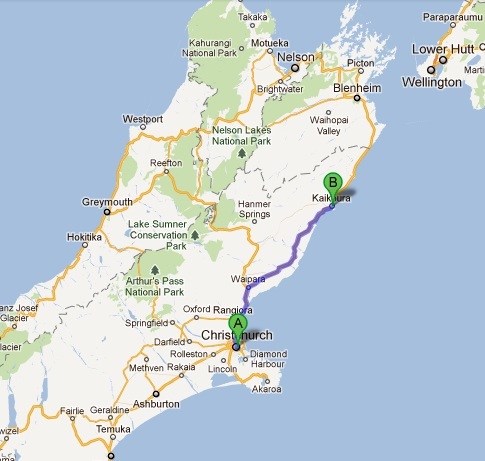 Much like the drive to Christchurch, much of the drive to Kaikoura remained dull and uninteresting. It wasn’t until you got within 20km of Kaikoura that the scenery changed from blah to beautiful.